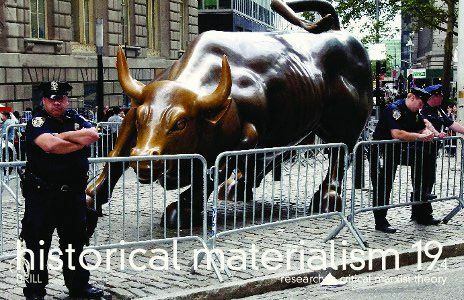 Abstract The relevance of Marx’s theory of value and his ‘law of the tendency of the rate of profit to fall’ to the analysis of the financial crisis of 2007–8 and the ensuing global slump is affirmed. The hypertrophic growth of unproductive constant capital, including the wages of ‘socially necessary’ unproductive labour and tax revenues, is identified as an important manifestation of an historical-structural crisis of capitalism, alongside the increasing weight of fictitious capital and the proliferation of fictitious profits in the lead-up to the financial crisis. These phenomena have obscured the deepest roots of the global slump in the long-term profitability problems of productive capital – that is, in a crisis of surplus-value production. With these considerations taken into account, a better empirical assessment of trends in the composition of capital becomes possible, and with it a more accurate understanding of the impact of the ongoing displacement of living labour from production on the average rate of profit and the future of US and global capitalism.